iPhone users often face errors with iTunes and their iPhone while attempting to backup or restore, or maybe update the iPhone using iTunes on their computers. These errors usually come out of nowhere and frightens the users because most people aren’t usually used to seeing such trouble. iTunes error 48 is pretty common during the time of restoring an iPhone; restoration of a smartphone is quite delicate and this message usually give the iPhone users a terror. However, there’s nothing much to worry since iTunes error 48 (similar with error 29) is usually driven by an error in some hardware on an iPhone, or a software error. Error 48 is more persistent on older iPhones because people usually change the battery after a prolonged period of usage. Changing the battery could change the hardware intactness of iPhone; which is a very important matter with iTunes. Any unauthorized changes are usually logged and when an update or restore is attempted, Error 48 shows up. If you have changed the battery very recently, you would probably need to get an original replacement to resolve the issue. Antivirus could be blocking iTunes, leading to error 48 in iTunes. Check the restriction list on your anti-malware program’s list for a possible inclusion of iTunes in there. However, if the iPhone has an antivirus app installed, it could cause the error as well. To be completely sure, you could simply uninstall your antivirus program from all your devices and retry. Older versions of iTunes would probably face compatibility issues with new iPhones and newer versions of iOS. This might result in faults in iPhone restoration, resulting into error 48. 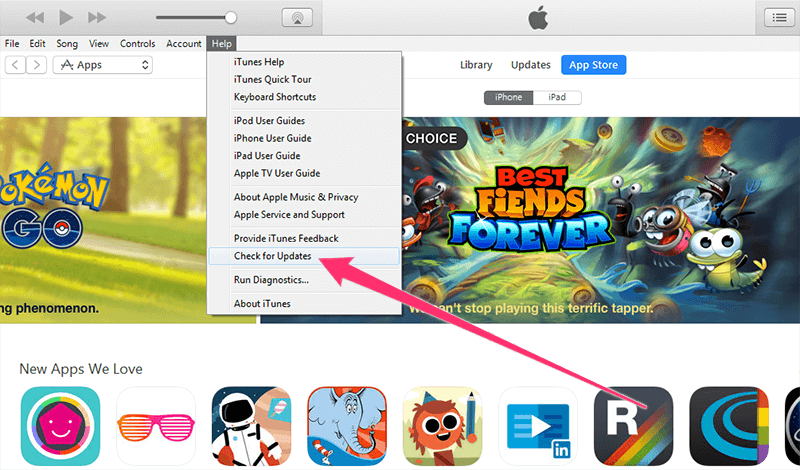 Make sure you are trying to restore an iPhone through an updated version of iTunes. Download the latest iTunes from Apple website and retry the restoration again. Restarting computer could resolve issues like refreshing the registry, solving temporal issues with iTunes or any other conflicting apps etc. Even though it sounds very old school, but give this a try to fix iTunes error 48. To make the process more effective, you could individually shut down iTunes and set your antivirus to not start the next boot-up to speed up the issues mentioned in #2. If all above fails, try factory resetting the iPhone. This will completely erase the iPhone including user data like photos, videos, music etc. and smartphone data like the apps, user registry, messages, contacts, all credentials etc. This will essentially make the iPhone a newer one and if the error 48 was caused due to some in-house problem on the iPhone that would probably be solved. To factory reset an iPhone, tap the Settings icon, open general and tap Reset. Approve the message. Conclusion: These hit & miss methods seem to work pretty well with iTunes error 48. If none of these seem to work, you might probably need to visit an authorized Apple care.